“Master of None” is an American comedy-drama web television series developed for Netflix by Aziz Ansari and Alan Yang. Anziz is probably most famous for his role in “Parks and Recreation” (where he played Tom Haverford). The first 2 episodes of the second season take place in Northern Italy, specifically in the city of Modena (Emilia-Romagna region) and in and around the town of Pienza (Tuscany region). Regular readers of my blog might have noticed that I’ve written about a couple of places in Tuscany (my posts about Italy), so I was especially glad to watch these 2 episodes. Imagine my surprise when I heard Aziz’s character promote the town of Pienza like so: “Pienza is supposed to have the most amazing pecorino cheese“. Yes! They DO have the best pecorino cheese (as long as it really comes from Pienza). I posted about Pienza last year, which is the first hill town that we have visited on our first trip to Tuscany (back in 2014, when my wife was pregnant). I’ve also posted about Podere Il Casale, an organic farm in Pienza where you can taste pecorino (unpasteurized sheep milk cheese). An ancient town, and seat of an archbishop, it is known for its automotive industry since the factories of the famous Italian sports car makers Ferrari, De Tomaso, Lamborghini, Pagani and Maserati are, or were, located here and all, except Lamborghini, have headquarters in the city or nearby. One of Ferrari’s cars, the 360 Modena, was named after the town itself. In 2016, it was rated as the world’s best restaurant in the World’s 50 Best Restaurants. It was the first Italian restaurant to earn the award. It was also second best in 2015 and third best in 2013 and 2014. Osteria Francescana is rated with three stars by the Michelin Guide and holds the first position on the Italian food guide l’Espresso – Ristoranti d’Italia with a score of 20/20. As I mentioned earlier, Pienza was the first hill town that we ever visited in Tuscany. It is a very good starting point, especially if you don’t want to walk around all day. Address: Corso il Rossellino, 19, 53026 Pienza SI, Italy (on the same street as the Duomo and the City Hall). 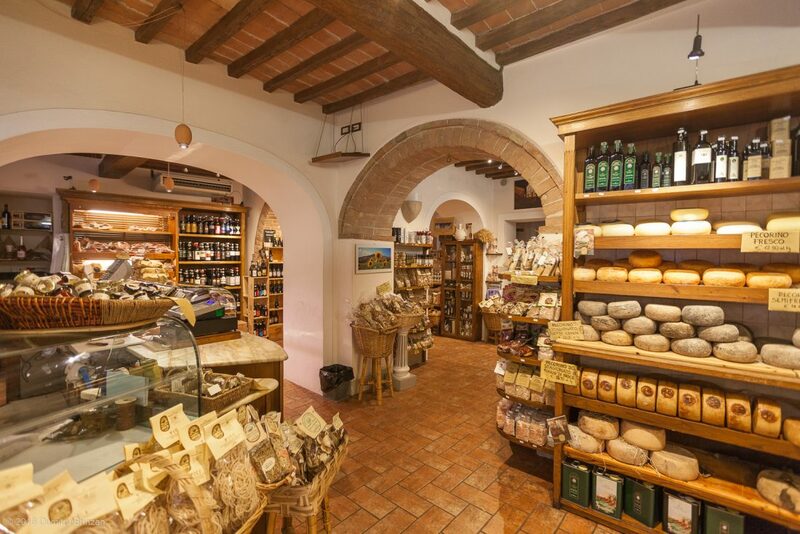 This is a wonderful shop in Pienza. It took me about 15 minutes to track down the villa where the wedding scene was shot. The same wedding venue is presented on multiple destination wedding websites under different names: Il Colombaio, Monteriggioni Estate, etc. These wedding agencies work for a commission, so it is a common practice to use made-up names for the villas in their portfolio. 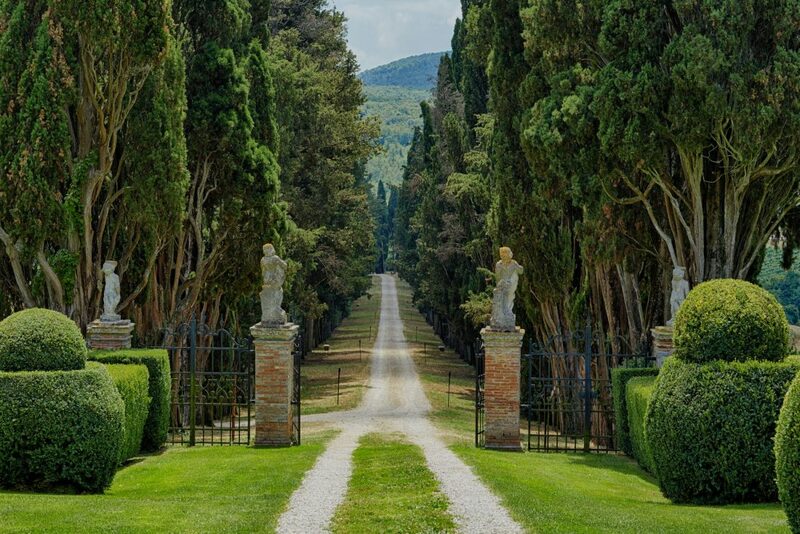 The official name of the villa is Borgo Stomennano. Full address is: Localita Stomennano, 53035 Monteriggioni, Siena. Yes, the wedding has been filmed at Borgo Stomennano the past August. Mr. Ansari was here in May 2016 as a guest of a wedding held at Stomennano and he decided to have one episode of Master of None here. That time I got flown to Tuscany to be in Master of None because I look like someone else. Even though the show didn’t highlight a lot about this villa, I’m sure that some people would want to have their wedding in the same place as “that show”. So in the future there will probably be a lot of people with photos like the one below. 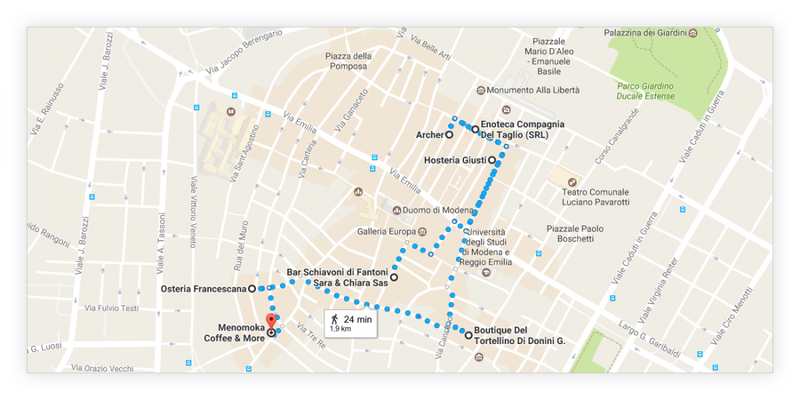 Did the Show Bring Search Traffic to Modena and Pienza? Netflix is the world’s leading internet television network with over 100 million members in over 190 countries. Season 2 of the show came out on May 12, 2017. The same week a lot of websites posted articles about the shooting locations for Italy scenes. Most likely this information was sent out in the promo press pack, as the websites basically spin the same info without a lot of variety. Let’s see if this exposure (mostly in the United States) brought a change to the search traffic for our main 2 keywords: Modena and Pienza. 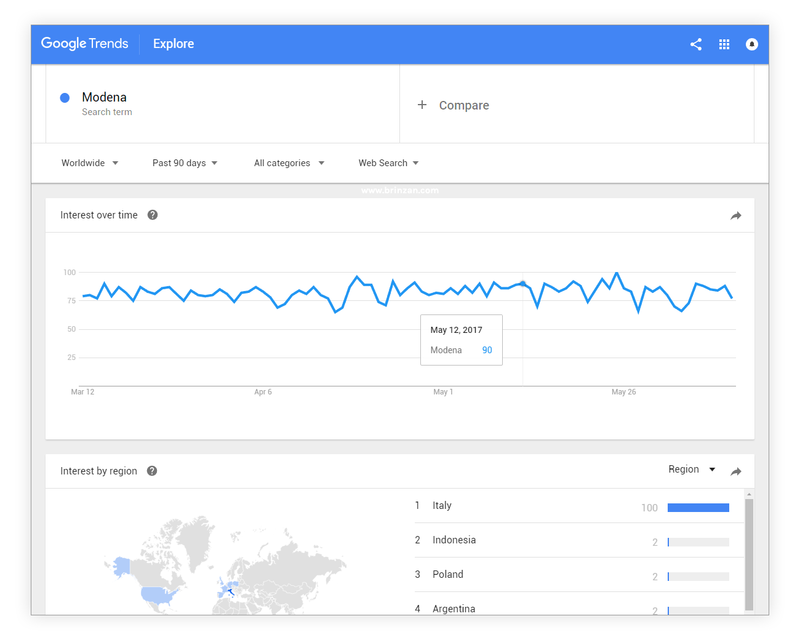 Google Trends: Modena – No Visible Change. 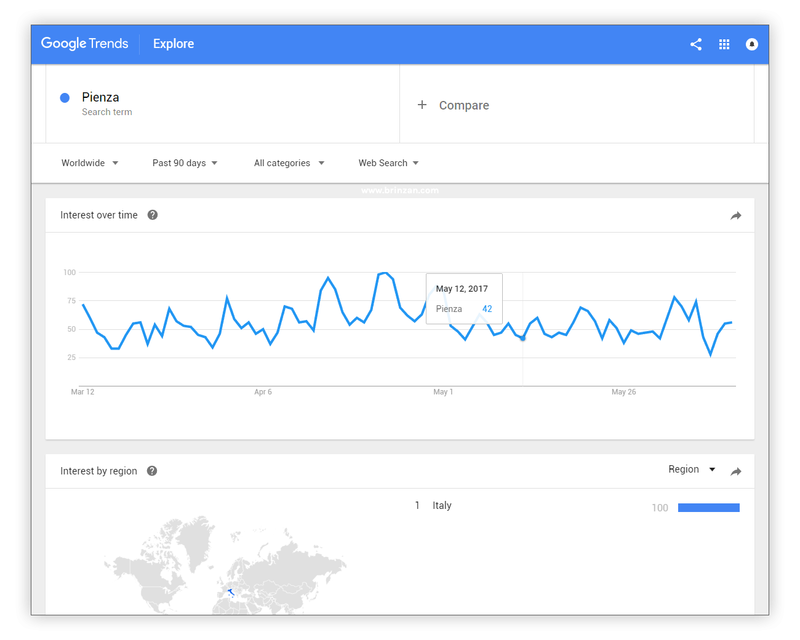 Google Trends: Pienza – No Visible Change. Wow! I was surprised to see absolutely no visible change in the Search Trends for these 2 keywords, especially considering that the show came out right when High Season starts for the Italian tourism industry. Granted it has been only 31 days since the show came out, but I think most views occur during the first week since release. P.S. I couldn’t stop thinking about how much Season 2 of “Master of None” reminded me of “Louie” by Louis C.K., especially the “New York, I Love You” episode. Apparently I’m not the only one who felt this way. Richard Lawson, columnist for Vanity Fair had some interesting things to say in a piece called Master of None Season 2 Is Delightful, but Not Deep. If you haven’t seen the show yet – give it a try, it is streaming on Netflix. Pecorino & Master of None lover NEEDS HELP NOW!!! My wife and I are in Pienza and we went to Il Cacio di Ernello. That IS NOT the cheese shop they shot the cheese scene in. You have that picture in one of your blogs. PLEASE TELL MEV THE NAME OF THAT CHEESE SHOP. Please let me know as soon as you see this- were leave here soon! You might be right. I think I have the wrong name. I remember that this cheese shop is on the same street with the Duomo and the City Hall. ‘Da Marusco E Maria’ Di Caporali Marusco E C. Snc”. I’ll try to double-check this and will update the info in the article.